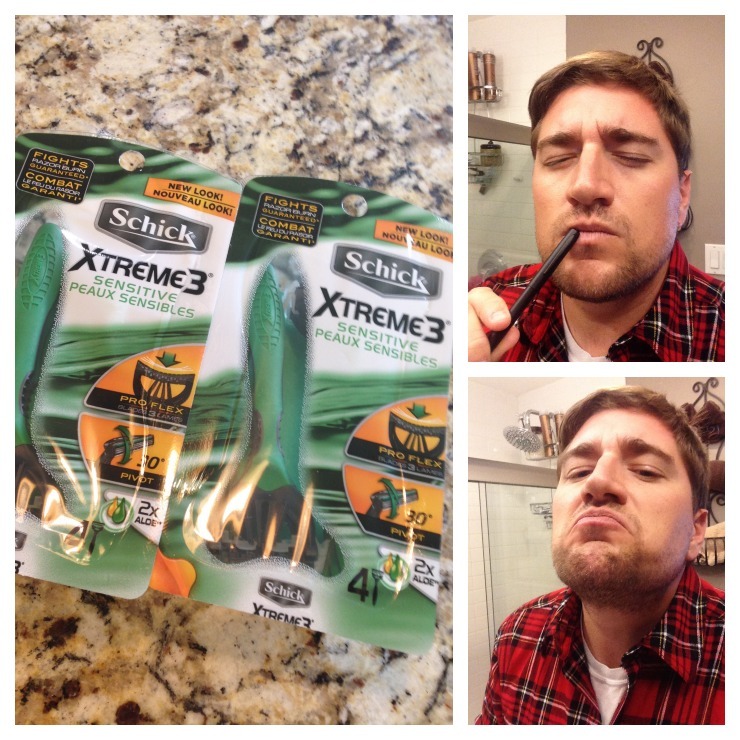 This manly shave is part of a sponsored post for Socialstars and Schick® Xtreme3® Sensitive Disposable Razor’s #Indisposable campaign. All opinions are my own. Sometimes, as I sit and ponder life with my flannel shirt on, I realize…not why E=MC2…rather, I realize that I need a shave. When I need a shave, well, I go and shave the hair on my face. The Schick® Xtreme3® Sensitive disposable razor is just that razor. It has vitamin E and aloe in dual comfort strips to enhance razor glide and help protect my skin against nicks and irritation. It also sports 3 blades that flex and pivot to adapt to the contours of my sensitive little face, optimizing contact with my skin to give me a close shave while guarding against razor burn. It’s ergonomic, comfy handle with soft rubber grip makes for improved control and easy maneuverability for a steady, feel-good shave. This all helps me get an awesomely close and comfortable shave every time, without all those burns or irritation. I mean, this baby Fights Razor Burn – Guaranteed! 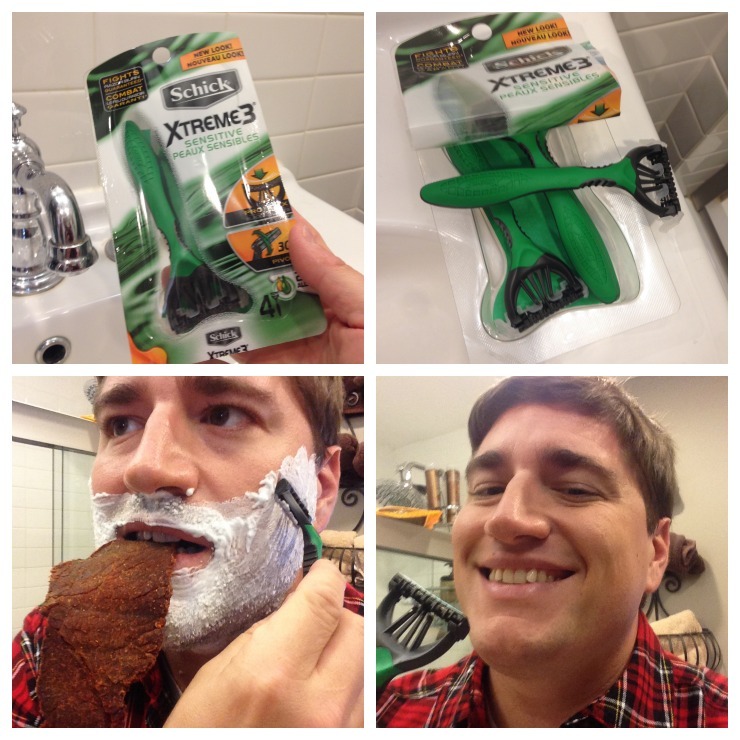 * And sometimes I eat jerky when I shave. The cherry on top of this sundae: it’s disposable, it’s so easy for portability, and the handle’s easy-rinse design helps keep blades from clogging! This is just ideal for men and women on the go. It’s the perfect razor for travel, the gym, the beach, or to keep on hand for quick touch-ups. As you can see, a post-shave Bill is a much better Bill (at least that’s what Vera says)…clean, smooth, refreshed. 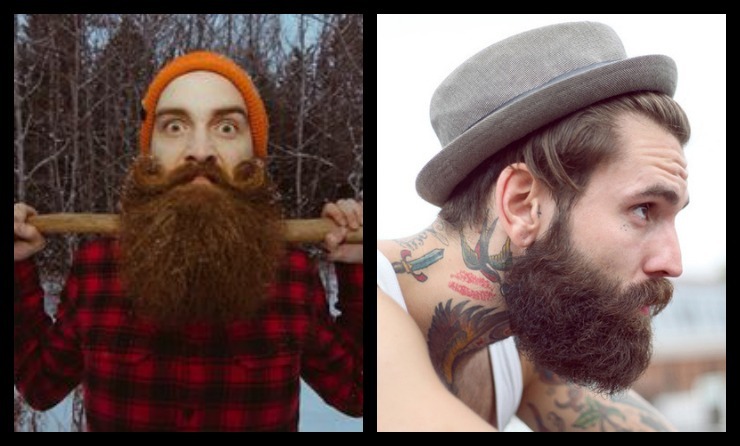 I’m ready to take on the world, and not look like a poor excuse for Zach Galifianakis. This post just rolled off the pen and onto to screen once I was cleanly shaven. And there was no mess to worry about. *Schick® Xtreme3® has Anti-Razor Burn Technology and is unconditionally guaranteed. If you’re not satisfied, call 1-800-SHAVERS, and Schick will replace your razor free of charge or refund your full purchase price. City Sports, Specialty Athletic Retailer, Has A New Location In Manhasset, NY! Loggerhead Apparel – Saving Jobs and Turtles!